On Thursday, June 30, 2011 at 8:00 PM ET, Geni.com will be hosting a free webinar that will show you how to successfully participate in and create Projects. Space is limited, so register for your spot now. Don’t wait! Geni is solving the problem of genealogy by creating a single family tree of the world. Using the basic free service at Geni.com, users can build their family tree, invite relatives to join it, find relatives in other trees, and then merge trees. The largest tree on Geni contains over 50 million people. Geni’s pay services include enhanced research tools as well as keepsake products created from family tree data. Geni welcomes both casual genealogists and experts who wish to discover new relatives and stay in touch with family. 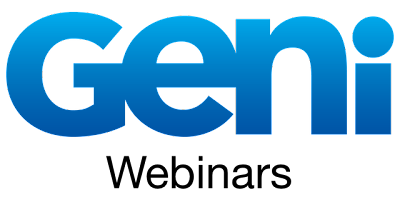 Geni is privately held and based in Los Angeles, California. Its financial backers include Founders Fund and Charles River Ventures. It was founded in 2006 by serial entrepreneur David Sacks, who was the original Chief Operating Office of PayPal and also the founder of Yammer, Inc.